The catchy and exciting Glasgow country band Raintown comprises award-winning husband and wife duo Paul and Claire McArthur-Bain. Their 2010 debut album Hope In Troubled Times was critically acclaimed and in the last three years their awards have included Entertainer of the Year and Female Vocalist of the Year at the 2014 British Country Music Awards, Duo of the Year in 2013 and Record of the Year at the Scottish New Music Awards in 2012. 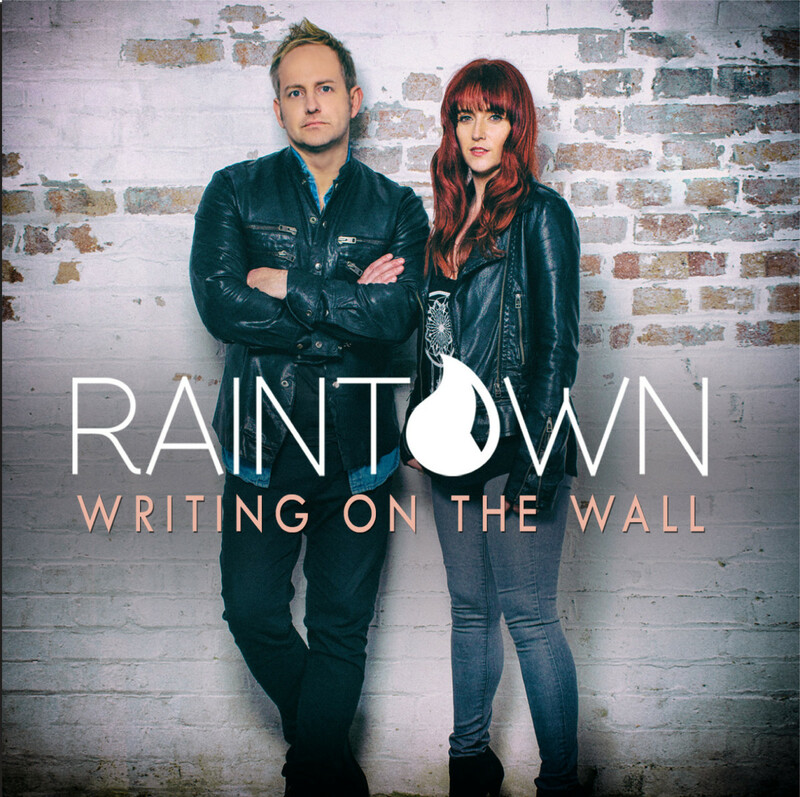 Raintown‘s inspiring second album Writing On The Wall, released on October 9th, 2015, was fan funded on Pledge Music and contains an eclectic mix of likeable stories and sing-a-long choruses. ‘Writing On The Wall’ ,the uptempo title track, is a soulful southern rock number, followed by warm and passionate ‘If This Was A Love Song’ about a couple apprehensive about giving a relationship a second chance. ‘Forever Isn’t Long Enough’ gently flows as a love song with a pleasant and subdued mood, contrasting with the energetic blues of ‘Shut The Front Door’ about internet trolls. Moving ‘Missing You’ was inspired by the tragic Clutha helicopter crash in their home town of Glasgow and they reflect on whether it would be both painful and reassuring to have the last voicemail from a loved one before they died. ‘Feel Much Better Now’ celebrates how powerful music on the radio can enrich our lives and ‘See You Again’ delicately tells of the loss of a loved one. ‘It’s A Beautiful Life’ tries to convince us that, no matter how dreadful life gets, everything will work out in the end. Writing On The Wall is a radio friendly and guitar driven album with close harmonies and many changes in tempo in which banjo, mandolin and pedal also contribute. The songs are fun, hot, cheerful and very polished. Some reviewers criticise the sentimentality they say they find in husband and wife duos, but here there’s a depth and authenticity that makes these artists worth listening to. Writing On The Wall is a radio-friendly and guitar driven album with close harmonies and many changes in tempo in which banjo, mandolin and pedal also contribute. The songs are fun, hot, cheerful and very polished.